For a limited time only! 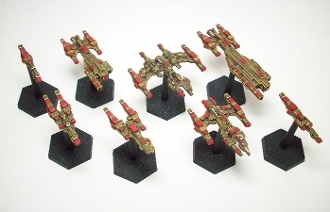 The Fleet Pack & PDF Rules include as a bundle offer. Each bundles includes 8 minis plus a PDF copy of the rules. Included are Cruiser, Destroyer, Assault Frigate, Patrol Frigate, Corvette, Cutter, Heavy Carrier and Light Carrier.